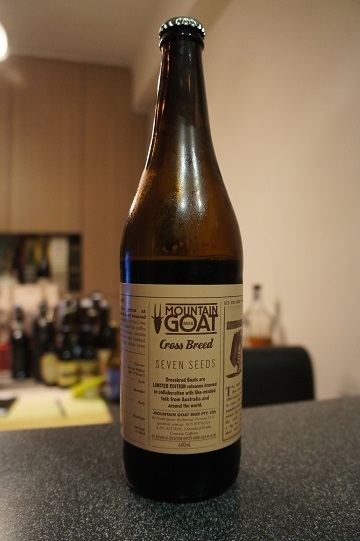 Category Archives: Mountain Goat Beer Pty. Ltd.
3 - Indifferent (buy if no other choice), American Porter, Australia, Beer Reviews, Mountain Goat Beer Pty. 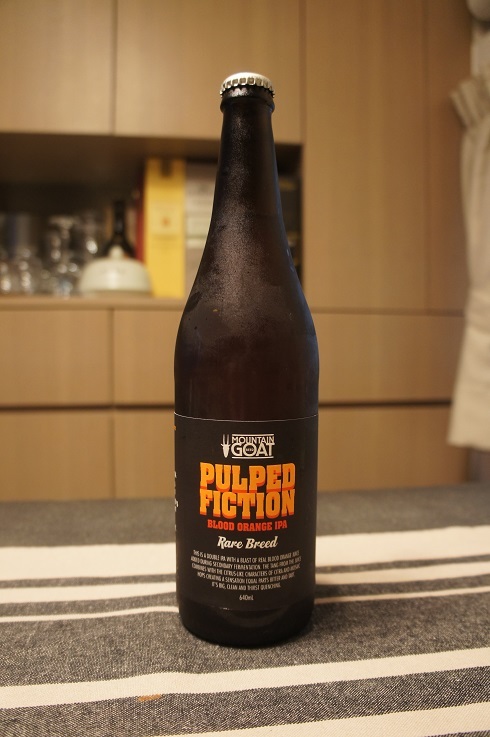 Ltd.
Other Notes: Crossbred Goats are LIMITED EDITION releases brewed in collaboration with like-minded folk from Australia and around the world. Brewer Description: (from bottle) Ale, Vienna, Crystal, Chocolate and Roasted Wheat malt are mashed to produce a rich, smooth chocolatey palate – a perfect pairing to the coffee. This coffee is from the El Desarrollo farmers’ group in Huila, Colombia. It’s sourced from 82 small growers who work to produce super premium micro-lots. It displays brown sugar and orange character. Intro: A 640ml bottle with a best before date of 13th July 2016. Poured into a Duvel tulip glass. Appearance: It poured a clear dark brown with a reddish hue and a one finger beige head that dissipated quickly without leaving much lacing. Aroma: Roasted black coffee dominates with some nuttiness and malts. Taste: Creamy/milky coffee with notes of brown sugar and vanilla. Mouthfeel: Light to medium bodied but maybe slightly overcarbonated for this style. 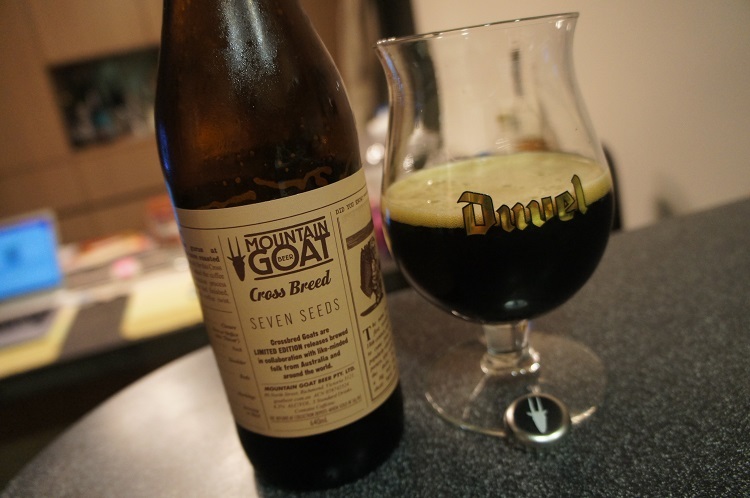 Overall: This was a decent beer with nice aromas. However it was a little too creamy/milky for my liking and the body definitely on the light side. 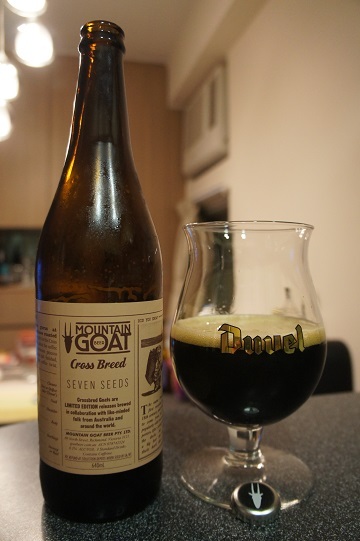 4 - Good (buy), American IPA, Australia, Beer Reviews, Mountain Goat Beer Pty. Ltd. 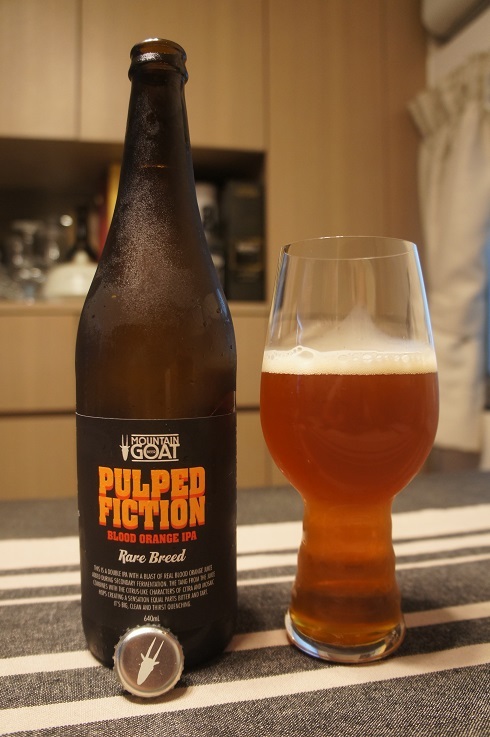 Featured image was taken from http://www.brewsnews.com.au. 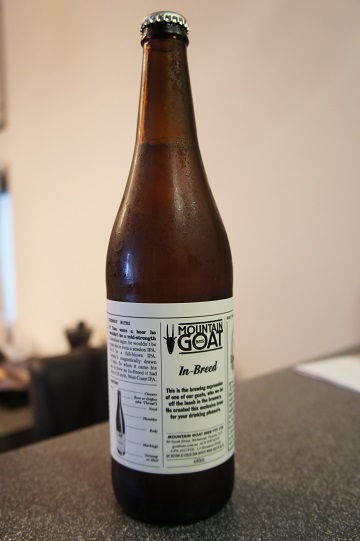 Other Notes: In-Breed – This is the brewing expression of one of our goats, who we let off the leash in the brewery. 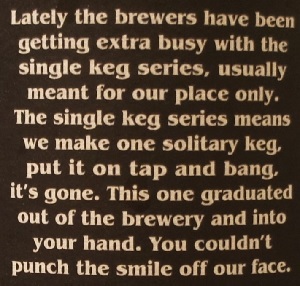 He created this exclusive brew for you drinking pleasure. Brewer Description: (from bottle) If Tom were a beer he wouldn’t be a mid-strength Australian lager, he wouldn’t be a pale ale or even a session IPA. He’d be a full-blown IPA. Tommy’s magnetically drawn to hops. So when it came his turn to brew an In-Breed it had to be a US style, West Coast IPA. Intro: This was a 640ml bottle dated best before 3 May 2015 and poured into a Hoegaarden pint glass. 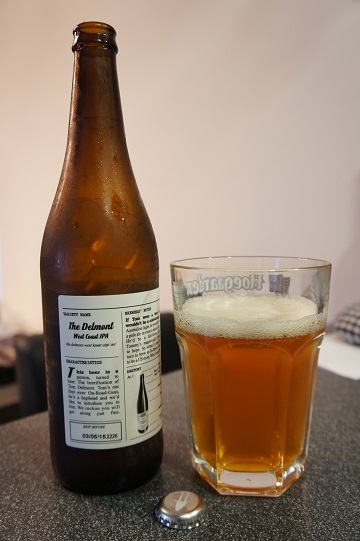 Appearance: The beer poured a clear copper amber colour with a one finger white head with good retention. Aroma: The aroma is easily pineapple, grapefruit and pine with light caramel malts in the background. 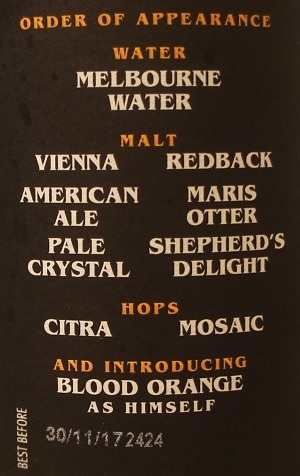 Taste: Grapefruit is most prominent at the beginning, then pine followed by a caramel malt finish. It has a medium bitterness throughout that is nice. Overall: A nice IPA overall. The bitterness and light caramel malt in the background is well balanced and enjoyable to drink. I would buy this again.